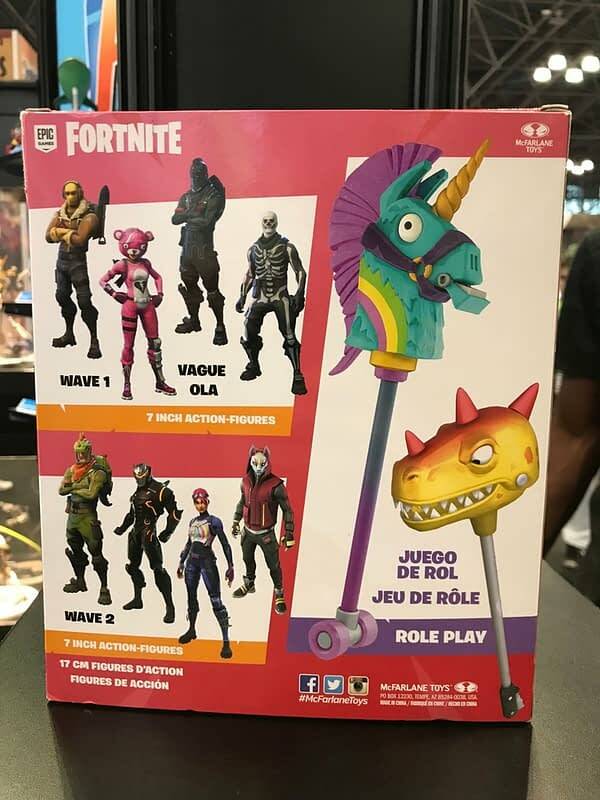 This weekend at New York Comic Con, McFarlane Today debuted new action figures at the Diamond booth for the game Fortnite. 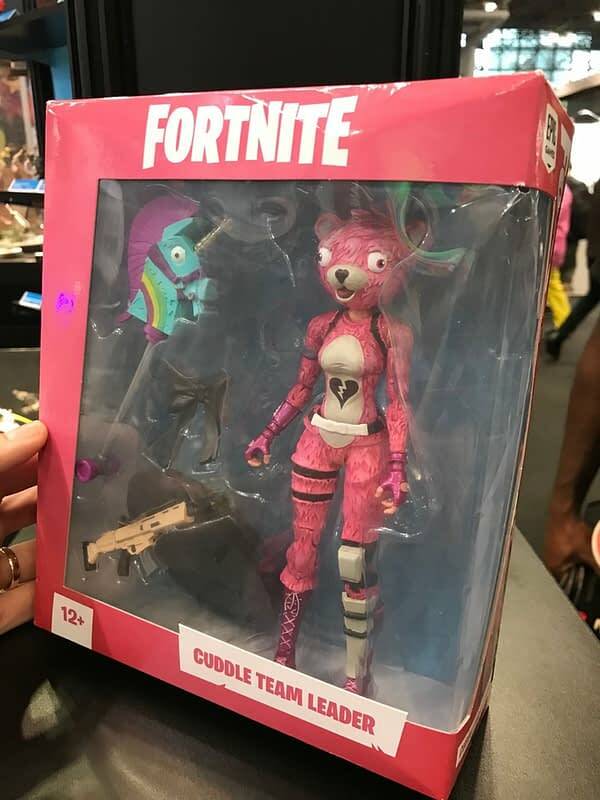 We have a couple of photos of the first figure for you here taking by IGN on the floor, this one featuring the Cuddle Team Leader along with a SCAR/Legendary Assault Rifle and the Rainbow Smash pickaxe. As you can see from the back of the box, there are two waves of figures on the way featuring some familiar faces from different seasons and events. The 7″ figures were not given a release date, nor were we given any kind of timeline as to when we might see each wave released, so this is basically Todd McFarlane and company teasing the hell out of us with something we can’t have… yet. Hopefully, that will change in the days to come, because if Fortnite sales are any indication, these will go hand-over-fist.